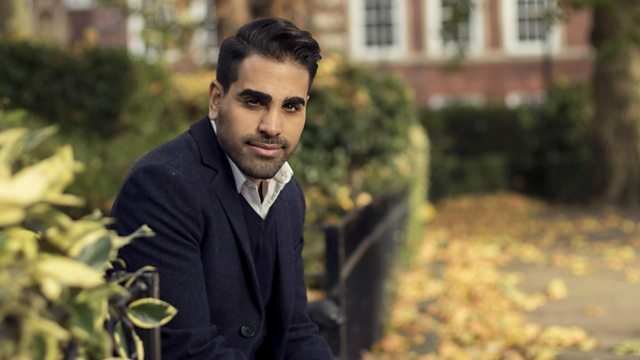 Dr Ranj Singh presents an appeal on behalf of Bowel & Cancer Research, who fund innovative medical research and are paving the way to better treatment. Browse content similar to Bowel & Cancer Research. Check below for episodes and series from the same categories and more! It's said a problem aired is a problem shared. That support can make our problems seem less daunting, more manageable. But what if we're too concerned about what other people might think? to one day make them a thing of the past. At times, my life is a bit on hold. you can't go out, you do have to stay home. Tanya is 26 and from London. and suffered symptoms such as nausea and vomiting. and she was later diagnosed with inflammatory bowel disease. I'm tired all the time. You know, I can't eat anywhere. I'm forever carrying anti-sickness pills on me. or even carry out simple tasks. because you would go to the toilet like 20 times a day - plus. I have to think first of all. and you can't go out in that kind of state. you know, treatment I have to have to, you know, be well. and drastically reduce people's quality of life. and bowel cancer is one of the most commonly diagnosed types in Britain. being diagnosed early and, in some cases, can end up costing lives. Andy is 31 and from Liverpool. He's always been a healthy and active man. to affect his day-to-day life. I started getting pains in my stomach and in my gut. up a lot of excuses to myself to not go to the doctor and get it seen to. Andy was encouraged by his family to visit his GP. and I went for a colonoscopy. that was causing these issues. I rang him up at tea-time and said, "Well, how did you get on?" And he said, "Mum, they've kept me in. They've found a tumour." So that was very hard. I would be cured of the disease. It's the worst moment of my life. And I remember saying to him, "This is all wrong. "You should be sitting here with me, not me sitting here with you." you can't change what's happened. and then it can be too late. research needed to one day eradicate these diseases. Bowel & Cancer Research funds pioneering studies around the UK. to not only change lives but to save lives. before survive bowel cancer and we are going in the right direction. cancer or have to live with a chronic bowel disease. so it's absolutely vital that we continue to fund these programmes. could have been a fatal illness. and actually it turned out that was really successful. when I was diagnosed, then my bowel cancer could've been fatal. and generous people donating to fund that research. and it's going to make a big difference. -Tanya has incorporated it into her working life. and sometimes lentils for IBS isn't great. to help others that also live with chronic conditions. I help them manage their symptoms through diet. so this also would be a suitable option for you. you have your life back. ..the hardest thing that's imaginable for a mother and father. important that they continue to be funded to do the work that they do. paving the way to better diagnosis and treatment. the devastating effects of bowel cancer or bowel disease. is for more medical research. if you can, donate now. and the whole £10 goes to Bowel & Cancer Research. writing Bowel & Cancer Research on the back of the envelope. Dr Ranj Singh presents an appeal on behalf of Bowel & Cancer Research. The charity fund innovative medical research and are paving the way to better treatment and diagnosis, so one day people might no longer have to suffer the devastating effects of bowel cancer or bowel disease.